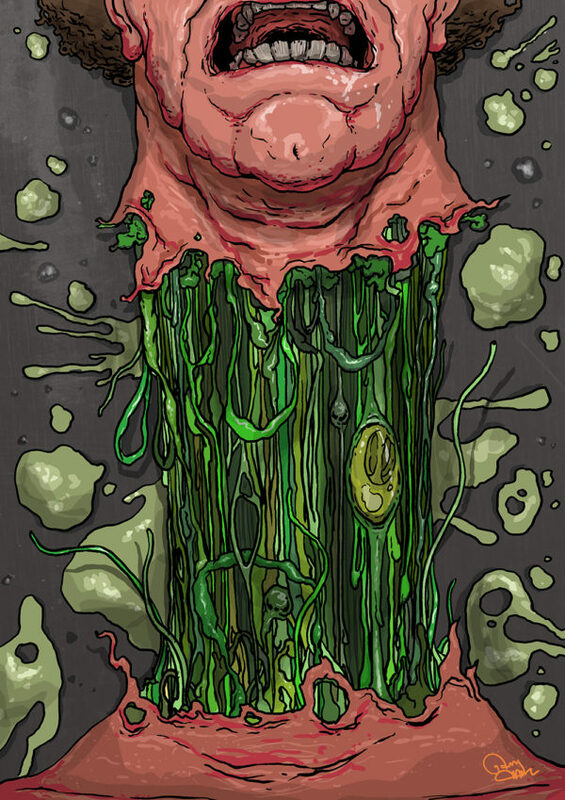 This is a piece I submitted to the Printed In Blood art book based on John Carpenter’s ‘The Thing’. The book is a wonderful hardback with 400 pages and 350 artists from around the world, so I was glad my entry was included. Visit Printed In Blood to buy the book!